Today is the day! Our @seersuckerandsaddles X Evereve Trendsend box is now available. If you aren’t familiar with Trendsend, it is an on-demand styling service from Evereve. Real stylists, that’s right no computer algorithms necessary, who are trained in body type and lifestyle styling hand select 2-3 outfits for you and ship them straight to your door. It is the magic on the in-store styling experience you have come to know and love from Evereve without ever having to leave your house. We are so excited to be able to collaborate with Beth from Seersucker and Saddles on this Trendsend box. We love her signature style that combines the perfect amount of polish and edge, feminine and flirty, color and fun. Each piece that is included in these Trendsend boxes were hand selected by Beth. The mantra that ran through her head the entire time she was sourcing the pieces was “give them options.” Versatility and the ability to wear multiple pieces several different ways was of utmost importance to her. She wanted to give you lots of different mix and match options to provide you with the most bang for your buck. That is actually one of the things that differentiates Trendsend from other on-demand styling services. Our stylist focus on sending you pieces that create complete outfits, and even better can be worn in multiple different ways to create several looks from one single box. Beth’s style is all about color, pattern, and print mixing. She is not afraid to mix things up and be adventurous with her style. However, she also knows the importance of a good basic and wants to make sure she can play it safe with her look if she wants to while still ensuring that the look is fun. If you aren’t looking to be too daring, you can grab a great pair of denim and a staple tee and pair it with a beautifully printed kimono to add a pop of color or pattern. 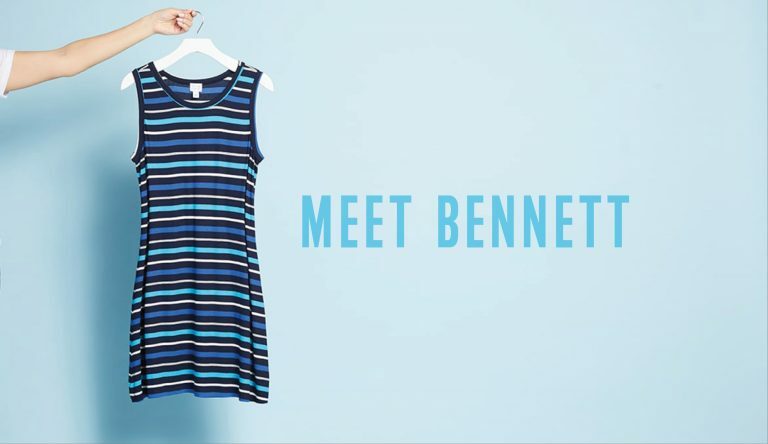 If exploring fashion and mixing prints is something you love, then there are great options in Beth’s Trendsend box for you. Pair a great camo moto jacket over a fun floral printed dress to add an unexpected edge to a feminine, flirty dress. 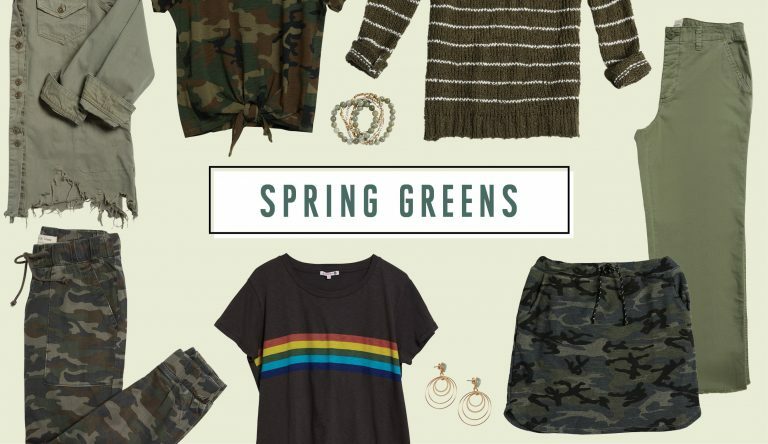 The best part is that same camo jacket would look perfect paired with a pair of black denim for date night and that cute dress would look amazing with a denim jacket for heading to your kid’s school for a volunteer shift. The moral of the story is there is something for everyone in this collaboration. Signing up for a @seersuckersandsaddles X Evereve box is easy. If you are an existing Trendsend customer, all you have to do is go to the Trendsend website, go to My Account > Preferences and enter @seersuckerandsaddles as your preferred stylist. Then pop back to your account and select Send Me A Trendsend to have a box sent. If you are a new customer, it is even easier. Just click here to start your Trendsend profile. On the second page of your profile, it will ask you for your preferred stylist, and you can enter @seersuckerandsaddles. Once your box arrives, you will have five days to try everything on and only purchase what you love. Shipping is free both ways, so you just send back any pieces you do not plan on keeping in the shipping envelope that is included in your box. The $20 styling fee is applied to any purchases that you make, and you receive a 10% discount if you keep 4 or more pieces. If you are dying for a specific item or outfit from the collaboration, you can shop directly on Evereve.com.